Giving credit where credit is due, Kotz wrote that the US single-shot FGM-172 Short-Range Assault Weapon (SRAW) missile system takes the prize for being the most accurate portable anti-armor system in the list. 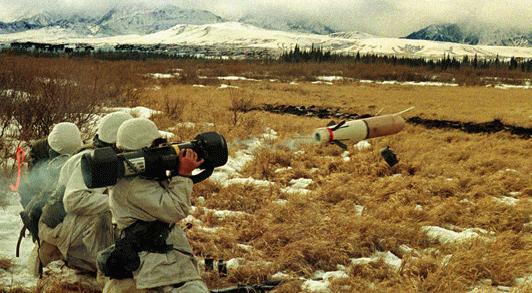 "The system was adopted by the US Marine Corps in 2002 as a simpler and cheaper alternative to the FGM-148 Javelin anti-tank missile system. Its main advantage is the possibility to work according to principle of 'fire-and-forget'." As far as targeting is concerned, "it's enough for the gunner to track the target for two-three seconds and launch, after which the weapon's automatic controls kick in." The missile is able to independently account for wind speed and other factors, "and capable of hitting tanks in their upper hemisphere (usually a tank's least protected area)." This is an interesting read. What caught my attention isn't the click bait above but the info on the RPG-29/30. This is the weapon that gave the US military all kinds of fits when we discovered that the terrorists in Iraq were able to penetrate the sides of the Abrams with it. This is what started all the "street fighter" up-armoring programs you see around the world. From the various TUSK packages for the Abrams to the Urban Leopard 2A7 and even the French got in on it with their LeClerc. My personal belief is that it isn't the crew served anti-tank missiles that have the armored community worried. Those can be easily suppressed. It's the lone bubba lurking with a capable light weight system that's been trained and is capable of hitting weak spots that give tankers the willies.